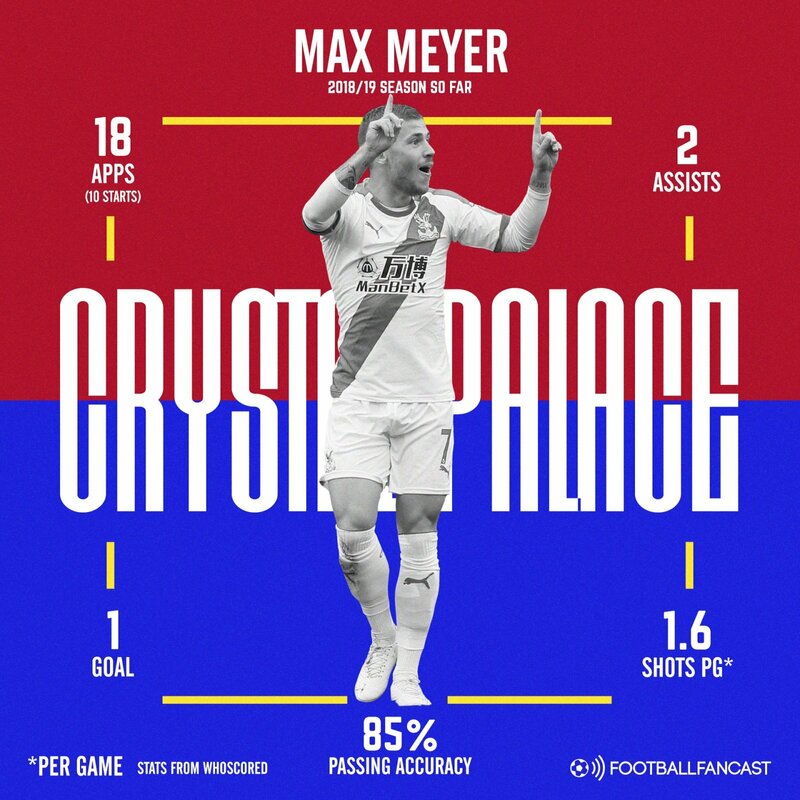 Since arriving at Crystal Palace on a free transfer after his contract with Bundesliga outfit Schalke expired, as covered by the club’s official website, Max Meyer has struggled for a consistent run in the first team for a number of reasons. To start with, the German international was not involved in Roy Hodgson’s first 18-man squad of the season, missing out on a place on the bench altogether as he continued to build his fitness up. He did, however, come off the bench in the second game of the season against Liverpool, and looked sharp against the Reds as Selhurst Park got to see the first glimpse of the late arrival. But it wasn’t until October 1st, as the Eagles travelled away to Bournemouth, that the attacking midfielder started his first game for his new club, where he failed to make an impact. Despite his stuttering form, Meyer has shown on more than one occasion that he is an extremely talented player, and also seems to bring the best out of Wilfried Zaha when deployed close to the Ivorian in the final third. It appears that Hodgson has decided to bed the player in slowly, perhaps as a result of this being his first footballing venture away from Germany coupled with a lack of pre-season preparation. Has he shown glimpses of his quality? Meyer particularly impressed in the 2-0 home win over Burnley, the stunning 3-2 win away to Manchester City and in his short cameo at Anfield in the recent 4-3 loss to league leaders Liverpool. Against the Clarets, the 23-year-old had four shots and made five key passes, whilst also completing two dribbles and whipping in seven crosses – as per Whoscored. At the Etihad Stadium, Meyer followed the game plan to a tee as Palace caused a huge upset, and was also a lively presence in and around the box – it was his quick thinking and sharpness that won the penalty for the third and decisive goal. Additionally, whilst he only played nine minutes against Jurgen Klopp’s Reds recently, he did manage to notch his first goal for the club with a well-placed shot into the bottom left corner of Alisson Becker’s net. Meyer now looks ready to play every week after a period of acclimatisation, but he has also been prevented from bettering his current stats (shown above) as a result of the team’s struggles to score goals. On a free transfer, and with plenty of time on his side, the decision to bring Meyer to south London has to be commended as one of Palace’s smartest signings in recent times, despite his slow start.